Spotify users won't be able to stream Coldplay's Mylo Xyloto | What Hi-Fi? Coldplay has decided its new album, Mylo Xyloto, won't be available for streaming on Spotify and other similar services. Fans will instead have to buy the CD from a store, or download MP3 tracks from iTunes or Microsoft's Zune network. Although the band's previous albums are available on Spotify, the new one is not – nor is it on other streaming sites such as Rdio and Rhapsody. Web reports suggest record label EMI is "a little embarrassed" by Coldplay's decision to spurn Spotify. "We always work with our artists and management on a case-by-case basis to deliver the best outcome for each release," says EMI. Coldplay is not alone in refusing to release an album on Spotify. Adele's hugely successful album 21 isn't on the music streaming service, and nor is work from Arcade Fire and Pink Floyd. Apparently Coldplay wants Mylo Xyloto to be heard as "one cohesive work" and not split up into individual songs – although each song is available as an individual download on iTunes. 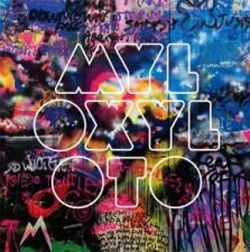 We'll have a full review of Mylo Xyloto in the December issue of What Hi-Fi? Sound and Vision, on sale from November 16th.